[Update] The video has been removed from YouTube following a copyright claim by EA. We will update the post if a mirror becomes available in the future. 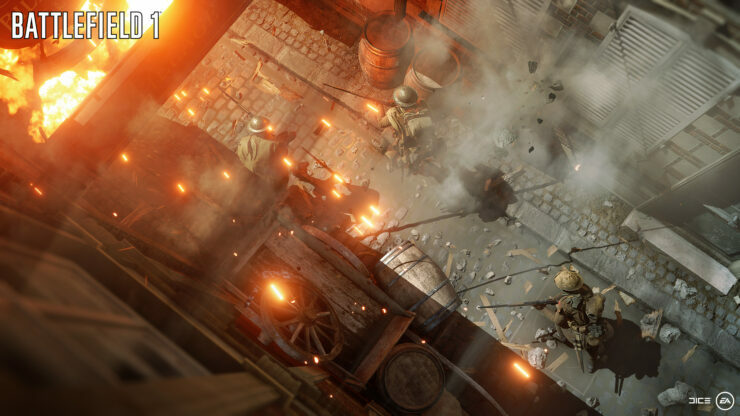 [Original Story] Later this month, Battlefield fans will finally be able to enjoy the Battlefield 1 experience on PC and consoles, and EA has been doing its best to remind players that the game developed by DICE will also be coming with an interesting single player campaign set during World War 1 featuring different main characters. If you’re wondering how the game’s campaign will play, you definitely need to check out a new gameplay video that has surfaced online recently. The new Battlefield 1 gameplay video, which can be watched right below, is a 30 minute long video showcasing the full “The Runner” single player mission. The video obviously includes heavy spoilers for the mission, so watch at your own risk. Last week, a Battlefield 1 short trailer has been made available, focusing on The Runner mission and one of the characters players will meet during it. This trailer is definitely spoiler free, compared to today’s video, so you can check it out without getting any surprise ruined. Last week, a dedicated Battlefield 1 fan shared a detailed list of all the weapon attachments, sights and other customization items that will be available in the game. The list has been obtained through data mining, so things may be different in the final release. Battlefield 1 launches this month on PC, PlayStation 4 and Xbox One in all regions. We will keep you updated on DICE’s upcoming shooter as soon as more comes in on it, so stay tuned for all the latest news.